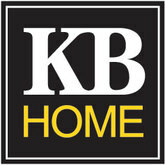 KB Home is engaged into the industry of building homes. It was setup in 1957 and has been founded by Eli Broad and Donald Kaufman. It had been the first company for trading on NYSE as "home builder" and has been recognized as a Fortune 500 company. With passing of time, the company had acquired other homebuilders when it had been expanded in new markets. KB Home has launched its first net-zero-energy home in January 2011. Greenhouse had been designed by Martha Stewart and KB Home and had been named as 'Idea Home' at "International Builders Show" in that particular year. Mr. Jeffrey T. Mezger is the CEO of the company. There are currently 0 consumer reviews about KB Home available. Share your review. Please take a note that you are about to post a public review about KB Home corporate office on CorporateOffice.com. This review will be public, so please do not post any of your personal information on this website. If you would like to contact the corporate offices of KB Home, please use their contact information such as their phone number, website, and address listed above to contact them. However, sometimes staff from KB Home headquarters do read the reviews on this website.